Ethan Peck has joined the cast of Star Trek: Discovery Season 2, which will see him play none other than Spock. Warning: This contains spoilers for the end of Star Trek: Discovery Season 1. The half-human, half-Vulcan Science Officer of the U.S.S. Enterprise, who was immortalised by Leonard Nimoy and has since been portrayed by Zachary Quinto, needs no introduction to fans of the series. Indeed, the legacy of the original Starship crew looms so large that Discovery, which takes place 10 years before the original show, has inevitably found itself crossing paths with the Enterprise. Season 1 closed with the USS Discovery intercepting a distress call from the iconic vessel, helmed by Christopher Pike, the predecessor to James T. Kirk. The young peck will be recognised by fans of Passport to Paris, That ’70s Show, The Sorcerer’s Apprentice, 10 Things I Hate About You, In Time, Madam Secretary and The Curse of Sleeping Beauty. He joins a cast that includes Sonequa Martin-Green as Michael Burnham, the Starfleet office of the USS Discovery with Spock as a foster brother. Their connection will be one of the central throughlines of Discovery’s second season, not only exploring the character of Burnham but also bridging the gaps between Discovery and the rest of Star Trek canon. Season 2 of Star Trek: Discovery will premiere in early 2019 on Netflix. For more on the show’s return and plot, click here to see the trailer. Anson Mount has joined Star Trek: Discovery for Season 2. The revival of the long-running sci-fi franchise follows the voyages of Starfleet on their missions to discover new worlds and new lifeforms – and one Starfleet officer, Michael Burnham (Sonequa Martin-Green), who must learn that to truly understand all things alien, you must first understand yourself. Set 10 years before the original show, Discovery features a new ship, new characters and new missions, but has both intrigued and frustrated fans with its connections to original Star Trek canon – and the ending of Season 1 promised to tackle those ties head-on. Warning: Season 1 spoilers follow. Season 1 closed with the USS Discovery intercepting a distress call… from the USS Enterprise, helmed by Christopher Pike, the predecessor to James T. Kirk. Mount will play Pike, CBS has confirmed. Mount, who is best known for his role as Cullen in AMC’s Hell on Wheels, is no stranger to sci-fi either, with a role in ABC’s Inhumans also under his belt. His casting makes him the fourth actor to play the Enterprise helmer, following Jeffrey Hunter and Sean Kenney in The Menagerie and Bruce Greenwood in JJ Abrams’ Star Trek feature film reboot. “The show is called Discovery. It’s not Enterprise,” Kurtzman said. “So yes, the Enterprise will play a part of Season 2 but it will absolutely not overshadow Discovery. And I think with Enterprise’s arrival in the finale we recognise that the audience has a lot of questions about our synchronicity with the original series, which really means or synchronicity with canon,” executive producer Alex Kurtzman told Variety in a recent interview. Season 2 of Star Trek: Discovery will start production in April, CBS has announced. The revival of the long-running sci-fi franchise follows the voyages of Starfleet on their missions to discover new worlds and new lifeforms – and one Starfleet officer who must learn that to truly understand all things alien, you must first understand yourself. Set 10 years before the original show, Discovery features a new ship, new characters and new missions, while embracing the same ideology and hope for the future that inspired a generation of dreamers and doers. It has been a hit since it premiered last year, both on CBS’s own streaming service in the USA and on Netflix everywhere else in the world. Some backlash notwithstanding from the departure of one character, and how its lead, Michael Burnham (Sonequa Martin-Green), fits in with the original show’s canon, the series ended its first run on a high. Now, Season 2 is on the horizon, with executive producer Alex Kurtzman to direct the opening episode, according to Variety. Season 2 will pick up where Season 1 left off, with the Federation-Klingon war finally ended, only for the USS Discovery to head to Vulcan and be interrupted by a distress call… from the USS Enterprise, helmed by Christopher Pike, the predecessor to James T. Kirk. Speaking to Variety, Kurtzman says that Season 2 will address questions about the relationship betwen Burnham and Spock from the original Star Trek, who were raised together, according to Season 1’s backstory. Set phasers to renewal: Star Trek: Discovery will officially return for a second season. The long-awaited new series in the long-running sci-fi saga, which premiered in September, follows the voyages of Starfleet on their missions to discover new worlds and new life forms – and one Starfleet officer who must learn that to truly understand all things alien, you must first understand yourself. The show, which features a new ship and new characters, suffered its fair share of setbacks before finally arriving on our screens, with a change in showrunner and a delayed production. CBS’ reboot, though, which airs on Netflix outside of the US, has been heralded a success, with its cast led by The Walking Dead’s Sonequa Martin-Green and Jason Isaacs. 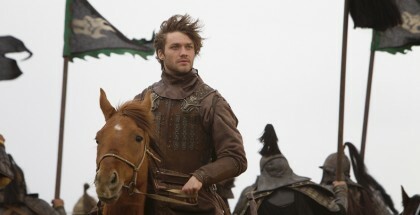 The announcement of the renewal arrives before Season 1 has even reached its halfway point. The first six episodes of Star Trek: Discovery are currently available to stream on Netflix, with new episodes available weekly on Mondays. The final episode of chapter one will debut on Monday 13th November and the second chapter, featuring the remaining six episodes, will be released in January 2018. You can follow our weekly reviews of the series here. Star Trek: Discovery will beam on to UK TV screens this September, Netflix has confirmed. The latest series in the sci-fi franchise airs on CBS’ streaming service in the USA, but was snapped up exclusively by Netflix last year for all countries outside of the US and Canada. The 15-episode season arrives 50 years after Star Trek first premiered and will follow the voyages of Starfleet on their missions to discover new worlds and new lifeforms – and one Starfleet officer who must learn that to truly understand all things alien, you must first understand yourself. Set 10 years before the original show, Discovery will feature a new ship, new characters and new missions, while embracing the same ideology and hope for the future that inspired a generation of dreamers and doers. The first and second episode will premiere on Netflix UK on Monday 25th September, with new episodes then arriving on Netflix weekly every Monday, within hours of their US broadcast. The season will be released in two chapters, with the first eight episodes running through to Monday 6th November. The show will then resume with the second chapter in January 2018. Read on for the series’ first trailer. Hot on the heels of the first image, the first trailer for Star Trek: Discovery has landed – and it’s an impressive glimpse of the sci-fi franchise’s future. Or, to be more exact, past: set roughly 10 years before the events of the original series, Discovery shows a never before seen era that shaped Federation history. Sonequa Martin-Green is front and centre as the USS Discovery’s First Officer, Michael Burnham, who encounters new ships, worlds and villains as the threat of war looms. 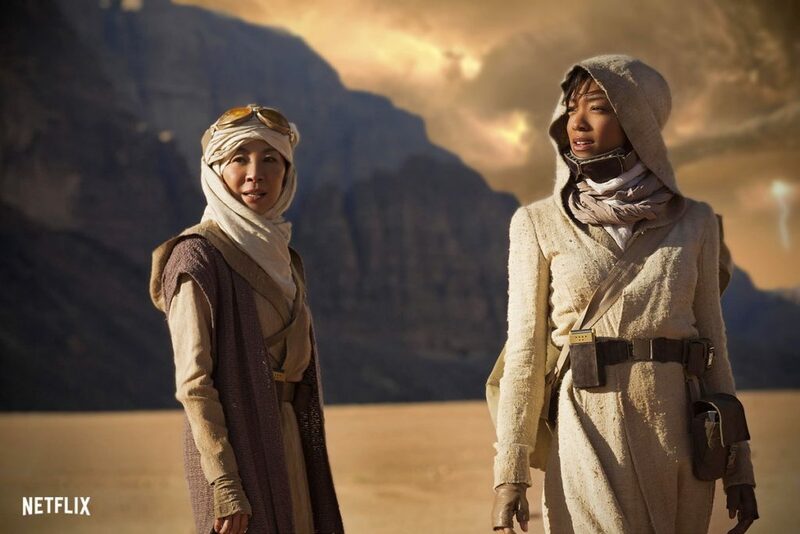 In both the trailer and the picture, we get a good look at her in action – alongside Michelle Yeoh’s Captain Philippa Georgiou of the USS Shenzhou. The rest of the cast includes Jason Isaacs as Discovery Captain Lorca and James Frain as Sarek, Spock’s father. We get a look at him too, not to mention the Klingons, some reassuringly shiny CGI and, of course, that titular ship. The trailer was unveiled at CBS’ Upfront press event in the US, where the network also confirmed that the series will be accompanied by a after-show called Talking Trek, a la Talking Dead. There’ll certainly be lots to talk about, as CBS has also upped its order of episodes from 13 to 15. In the UK, the show will premiere on Netflix UK. It’s currently slated to be released in the autum. The first picture has officially beamed down from Star Trek Discovery to our screens. The CBS series, which will premiere on Netflix in the UK, is the latest entry in the long-running sci-fi franchise and is one of the most anticipated shows of the year. That’s partly because the series has been subject to numerous delays, since its original announcement last summer, with showrunner Bryan Fuller stepping down to work on American Gods and CBS wanting to ensure that the programme is as polished as it can be. Nonetheless, the project has been moving forward, with a cast gradually assembled that includes The Walking Dead’s Sonequa Martin-Green, Jason Isaacs, Rainn Wilson, Doug Jones and Michelle Yeoh. Now, we have our first look at the new show – and, more specifically, Martin-Green in action as First Officer Michael Burnham, who serves on the Starship Discovery, and Yeoh as Captain Philippa Georgiou of Starship Shenzhou. Neither are on board their respective crafts, with CBS boldly going onto a desert planet to showcase a series that will evidently not be skimping on its budget. The picture doesn’t give us much more than that, although the costume design is snazzy and the emphasis on its two high-profile female characters is a promising sign. The show will air on streaming service CBS All Access in the US and will premiere on Netflix in the UK and other countries around the world. Expect a lot more pictures and trailers in the coming months – or perhaps even later today, if CBS is unveiling more at its Upfront media presentation in America – as the autumn release date draws nearer. Star Trek: Discovery has been delayed again. CBS’ new Star Trek series is one of the most anticipated shows of 2017, with Netflix racing to snap up the UK rights to the show. But the launch of the new spaceship and its crew has been far from plan sailing since its unveiling last summer. Showrunner Bryan Fuller stepped down in the autumn, after helping to map out the first season, with Gretchen Berg and Aaron Harberts taking over. Production was later pushed back to November, with a new May 2017 release date replacing the original January target. Now, though, CBS has confirmed that the series may also miss that date too. The project is moving ahead, though, with recent casting including The Walking Dead’s Sonequa Martin-Green in the lead role of the Discovery’s female Lieutenant, as well as Anthony Rapp, Doug Jones, Michelle Yeoh, Chris Obi, Shazad Latif, and Mary Chieffo all signed on as regulars. James Frain, meanwhile, has now been cast as Sarek, Spock’s father. The show will take place around 10 years before the original series. Bryan Fuller has stepped down from the role of showrunner on CBS’ Star Trek: Discovery. The reboot of the sci-fi franchise is fast becoming one of 2017’s most anticipated shows, with Netflix snapping up the global rights outside of the US and CBS set to release the whole thing in America as an exclusive for its VOD service, CBS All Access. From fan expectation and franchise reputation to commercial important, it’s safe to say there’s a lot riding on the show. Now, however, Fuller isn’t one of them. Fuller was one of the project’s elements that whipped up excitement among Trekkies, thanks to his history as a writer on Voyager and Deep Space Nine. His work on Hannibal, too, has left him as one of the most striking voices in TV – it’s no surprise that he was snapped up for Starz’s upcoming adaptation of Neil Gaiman’s American Gods. With that and a reboot of Amazing Stories for NBC, though, Fuller’s workload has potentially proven too much, as CBS has become concerned about Fuller’s ability to juggle Discovery with his other committments. With production scheduled to start in Toronto next month, Variety reports that a decision was therefore made last week for Fuller to hand the showrunning reins over to Exec Producers Gretchen Berg and Aaron Harberts. Sources told the publication that there had been “some strain” between CBS and Fuller over the production’s progress. Indeed, CBS announced in September that the show would be pushed back from January 2017 to May 2017 to give the production team more time to get everything ready. Pushing it back any further, though, would be a major blow to what CBS is positioning as a flagship programme for its All Access platform. Execs, though, are pleased with Fuller’s work on the show. Fuller has already written the show’s first two episodes and laid out the series’ broader story arc and mythology. Riker spent 7 years of TNG unready for Captaincy, @GretchenJBerg@AaronHarberts are ready. Thrilled to see them in command of the Bridge. 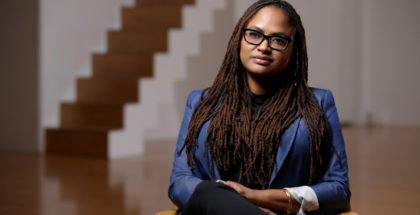 Fuller will remain “actively involved” as an Exec Producer on the show, with writer-director Akiva Goldsman expected to join the production in a senior creative role, providing additional support for Berg, Harberts, Fuller and Exec Producer Alex Kurtzman. All have prior relationships with each other, with Berg and Harberts working with Fuller on Pushign Daisies and Goldman producing Fox’s Fringe with Kurtzman. The news arrives as the world awaits confirmation on the casting of Discovery’s lead, whom Fuller has described as a female lieutenant commander. CBS has postponed Star Trek Discovery to May 2017, as the show spruces up its special effects. 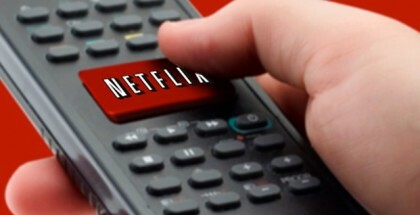 The reboot, which will be released exclusively on Netflix in the UK and will stream on CBS’ All Access subscription VOD platform in the US, was set to air early next year, but CBS has now pushed it back several months. 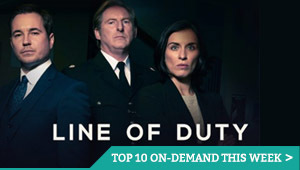 The network’s execs emphasised that the delay was solely to give the creative tream more time to “meet expectations” for the show, says Variety. Indeed, showrunners Alex Kurtzman and Bryan Fuller will be under pressure to meet the hype surrounding the franchise’s return, following a successful reboot on the big screen and given the show’s importance in CBS’ promotion of its All Access service. The new Star Trek series has officially been given a name: Star Trek Discovery. The show, which will be released on CBS All Access in the USA and on Netflix in the UK, made the announcement this weekend at San Diego Comic-Con. Speaking to a packed Hall H, Exec Producer Bryan Fuller confirmed that the show would be named after its new main ship, the U.S.S. Discovery (NCC-1031). The Star Trek 50th Anniversary panel gave fans – who were served donuts and coffee by Fuller in the morning, after they had spent hours queuing to get in – a look at the first video of the Discovery’s test flight. 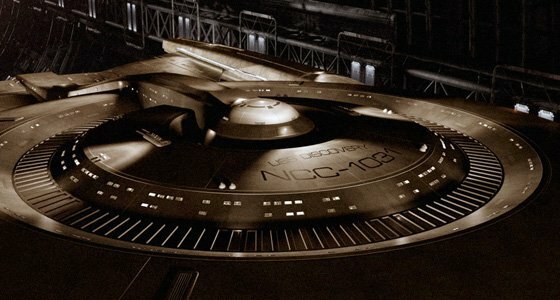 io9 also reports that Fuller confirmed the show will be set in the prime timeline of Star Trek, although he didn’t disclose when in the timeline the series will take place. He added that Ralph McQuarrie’s 70s designs for the Enterprise were an inspiration for the new ship – but “to a point that we can’t legally comment on it until [our legal team] figures out some things”. Exec Producer Heather Kadin was also asked about being a woman working on these show and said that she takes inspiring women seriously. “As a female, you’ll see, when you start to hear more about the series, that that’s a big part of it,” she commented. Star Trek: Discovery will beam onto Netflix UK in January 2017.